The convenience of having a whole extra battery is quite amazing. But at the end of the day, every cell phone user still has to find an electrical outlet to get a charge. On top of that, they also have to charge two different batteries and keep track of how much charge each has. 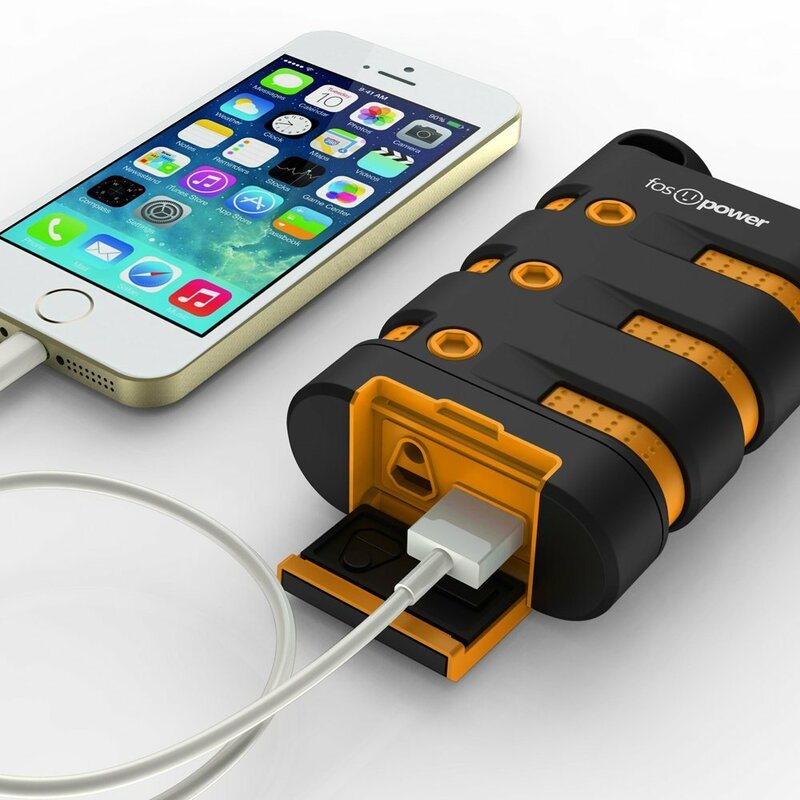 So it’s no wonder that the concept of a kinetic energy phone charger has been picking up steam. 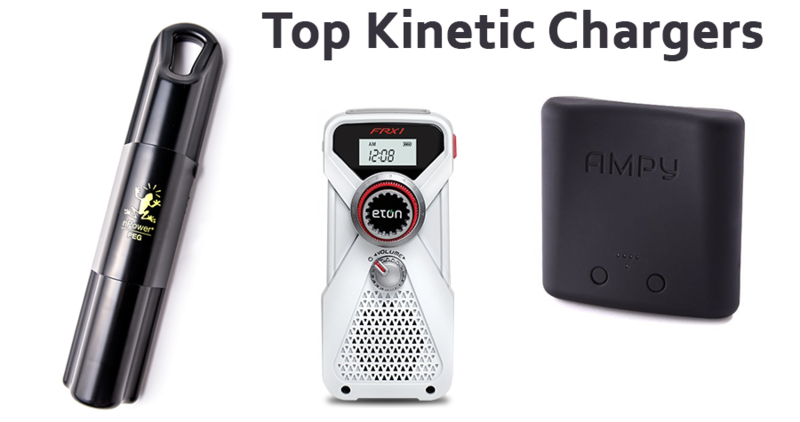 That being said, let’s take a look at the top 4 kinetic energy chargers out there right now and how well they perform. Tough and sturdy: Designed to be snow proof, dirt proof, drop proof and water proof. IP67 certified: dust and water resistance for up to 3ft/1m for 30 minutes under water. 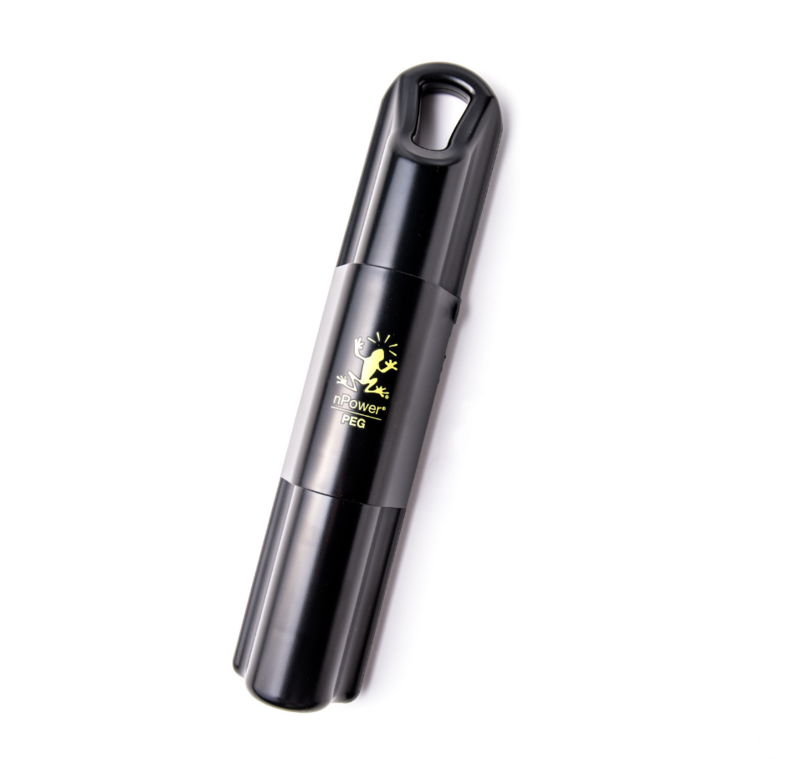 Storage temperature: 32F to 113F, Input: 5V / 2A; Output: 5V / 2.1A; Dimension: 3.98 x 2.54 x 1.06in, Weight: 7.76oz. This is probably the most well-known of all the kinetic energy phone chargers currently on the market. 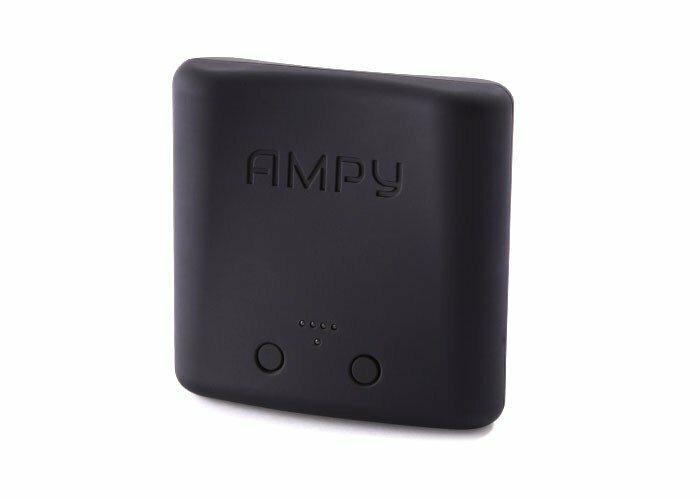 It has received quite a bit of attention since it promises that a fully-charged AMPY can provide the user with up to 24 hours of extra battery life. Not only that, the manufacturer also claims that this unit can become charged by the energy generated from your everyday movements such as walking and running. However, it seems that the reality may not match up so well to the promises made. As a battery, this unit has rave reviews. 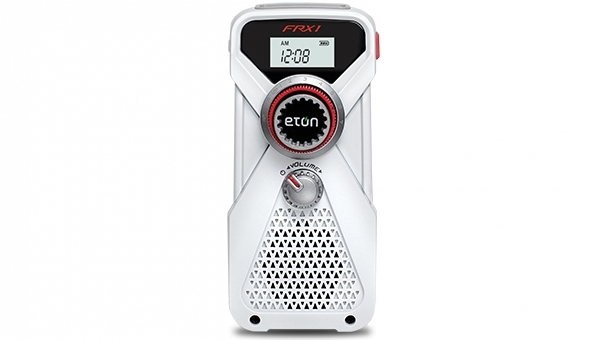 But as for its electrical generating ability, the unit comes up way short. Many reviews from professionals and consumers alike suggest that it requires an unrealistic amount of movement in order to generate enough charge to fill itself. One reviewer ever made the claim that “You’d have to shake the Ampy nonstop, for days on end, to fill up the battery cells.” This doesn’t inspire much hope, but they also have a wonderful and free app for monitoring your smart phone battery in detail. You can check out the manufacturer’s website here and decide for yourself. This device is roughly the same concept as the AMPY except this unit seems to be geared more towards the outdoorsy crowd. The manufacturer states that this device can hold a charge for up three months and will keep itself continually topped off by using the kinetic energy from your motion. But, much like the AMPY, this charger also falls short. Users have complained that the energy generation mechanism is quite weak and it only seems to work when the unit is completely upright. In practice, most activity will not generate the energy required. It seems that many of the larger retailers such as Amazon have chosen not to keep these in stock, though this device may make a reappearance after some of the issues are worked out. For more info, WIRED magazine has a hilarious review here. It seems as though the world of kinetic charging devices still has a way to go especially since the emergence of commercial charging solutions such as phone charging kiosks with lockers that are seen at bars, restaurants, hotels, casinos, events, and more.